From a beach house deck in Cayucos I watched a passing storm blow through. The light and energy was amazing, so much fun to witness. 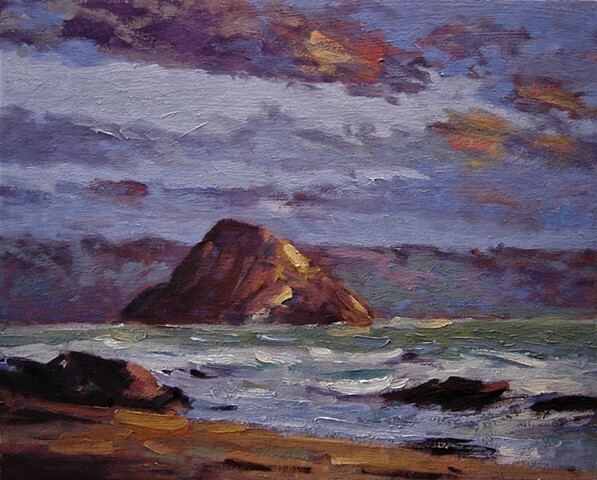 It changed by the second and I was trying to capture it's effect on Morro Rock.